Going to a golf tournament is difficult to compare to other sporting events. 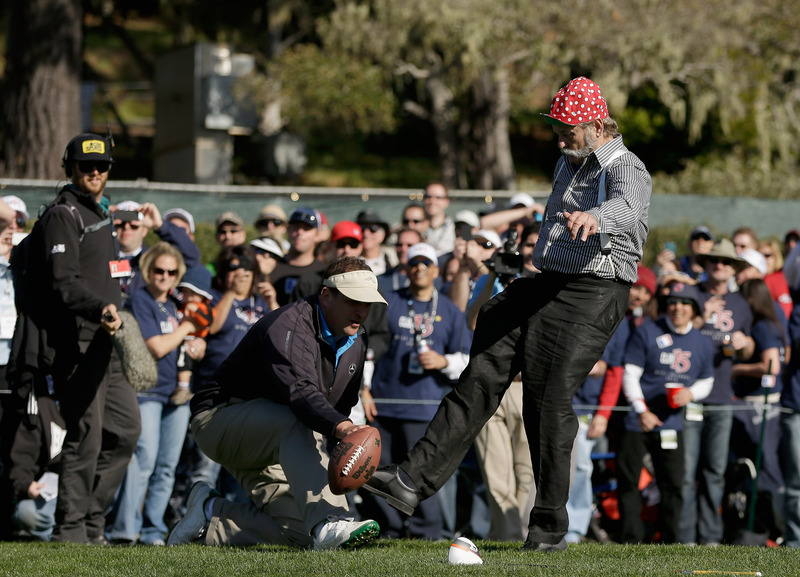 The action isn’t confined to 100 yards, 94 feet or a pair of foul poles. A golf tournament sprawls across five miles of playing field, and is played very nearly from sunrise to sunset. 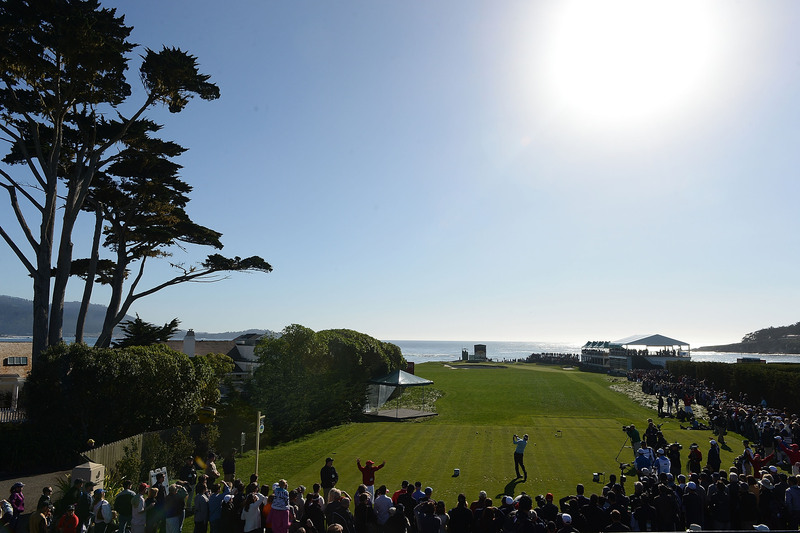 The AT&T Pebble Beach Pro-Am adds an extra wrinkle of uniqueness during the first three days of the tournament, because it is hosted across three golf courses: Pebble Beach Golf Links, Spyglass Hill Golf Course and the Shore Course at Monterey Peninsula Country Club. But if you know where to go, you can feel the power of a Dustin Johnson drive from a seat closer than the first row behind home plate, yuk it up with players and celebrities like you’re sitting courtside next to Jack Nicholson, or even take part in a Pebble Beach-style Lambeau Leap. The tee times for the practice rounds (Monday-Wednesday) are tougher to pin down and plan for, but your access is awesome. If you love watching pros and their piercing trajectories up-close, or catching them try out shots that are probably too aggressive for tournament play, practice rounds are a memorable learning experience. If you just want to see your favorite celebrities, you’re allowed to snap photos and videos during the lower-key practice rounds. 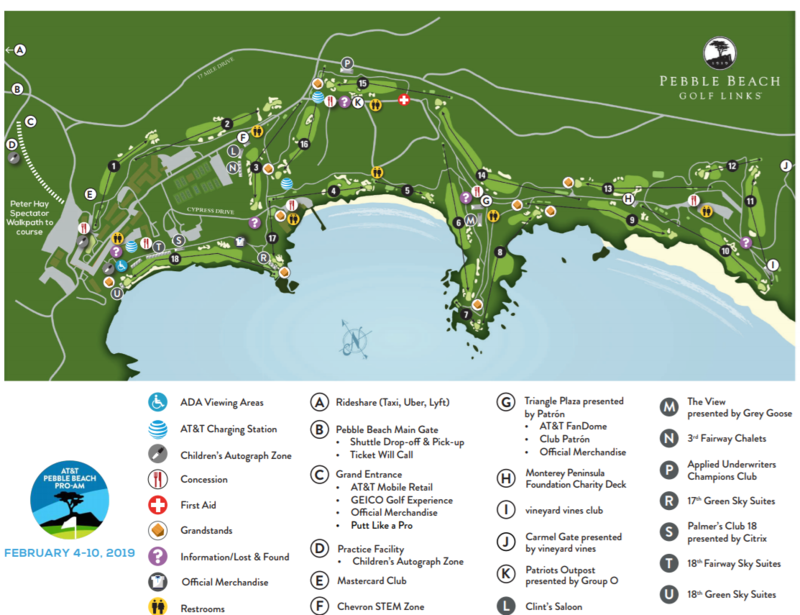 There is an A-List group of celebrities that CBS likes to schedule for the Saturday broadcast at Pebble Beach. 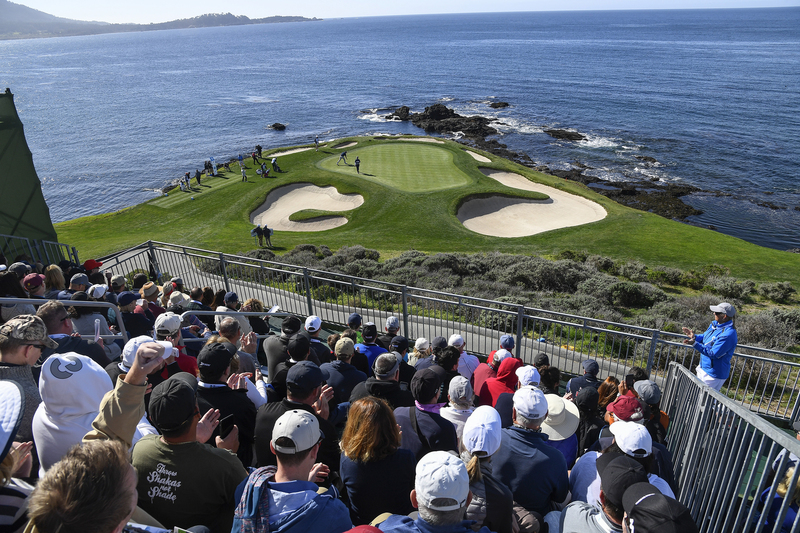 If you want to catch your favorite A-Listers, but don’t want to battle as many crowds, follow them when they play MPCC and Spyglass Hill on Thursday and Friday. The most spectacular and famous stretch of holes at Pebble Beach are Nos. 4-10 overhanging Stillwater Cove, and the dramatic Nos. 17 and 18. 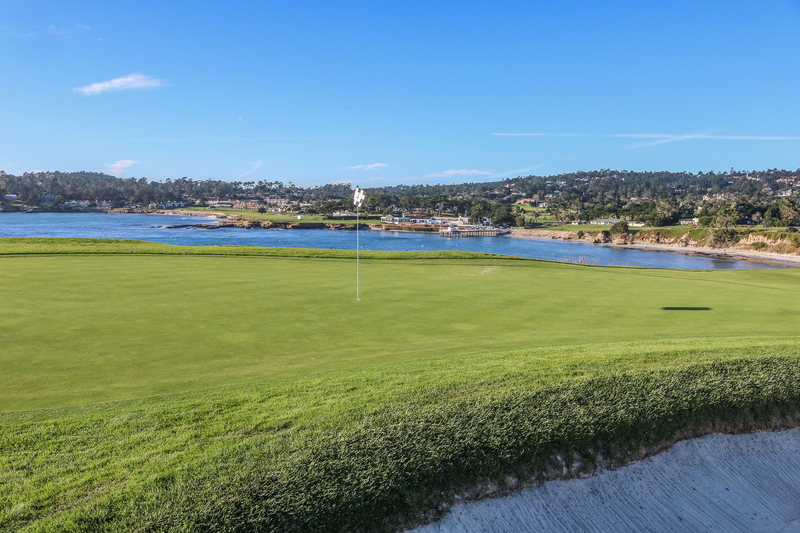 Start your day by walking the course backwards along the iconic 18th and 17th holes. 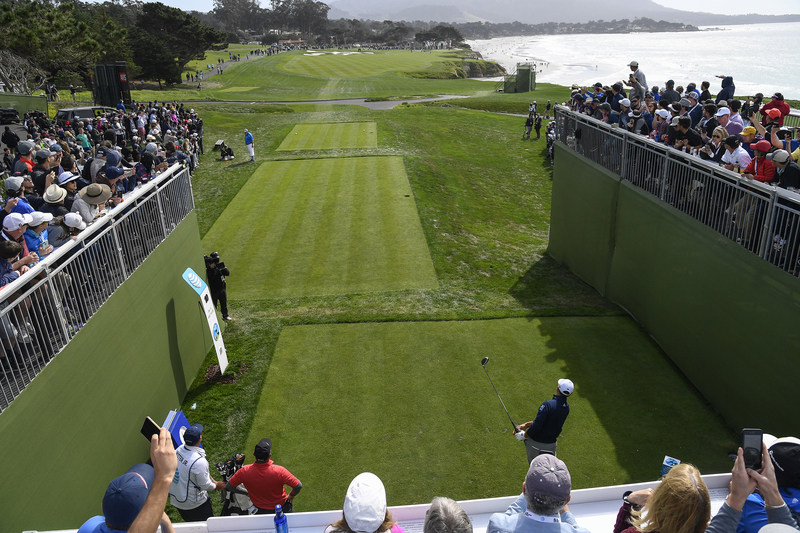 When you reach the 17th tee, play from three different holes will converge: No. 3 green to your right, the par-3 No. 17 in front of you, and the short par-4 No. 4 to your left. 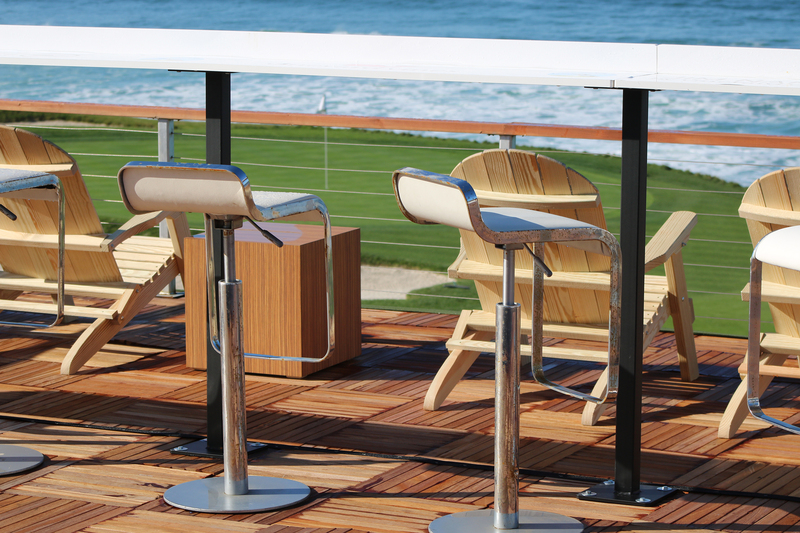 Want to find a spot to sit back and enjoy the incredible scenery? Head to the grandstands on No. 7 and enjoy one of the most interesting shots in golf. 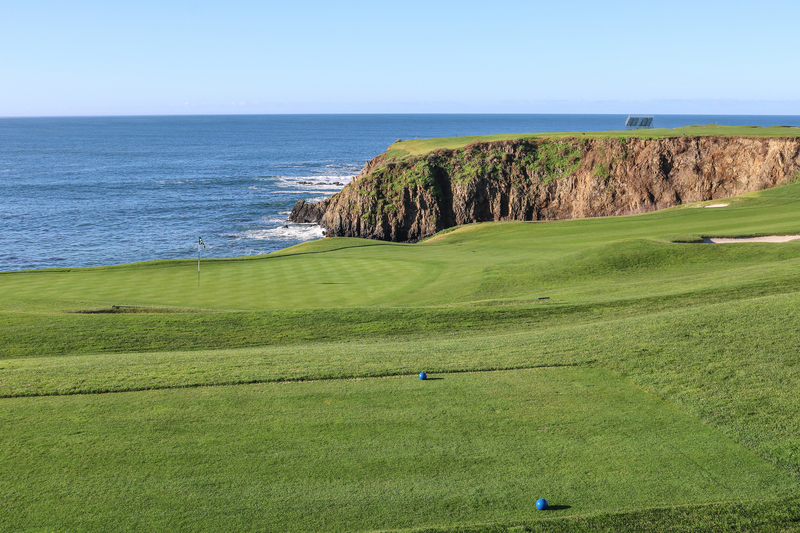 If the wind’s up on this adorable 106-yard par-3, any score is in play. 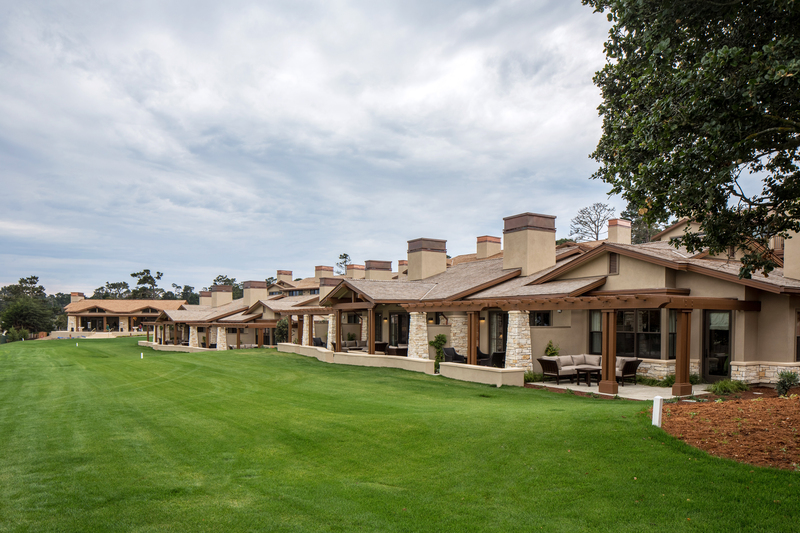 If it’s calm, relax at one of golf’s most picturesque corners of the world. Want to stretch your legs? A sparkling panoramic view of Stillwater Cove, plus Nos. 17 and 18, are all right behind you on the other side of the sixth green. 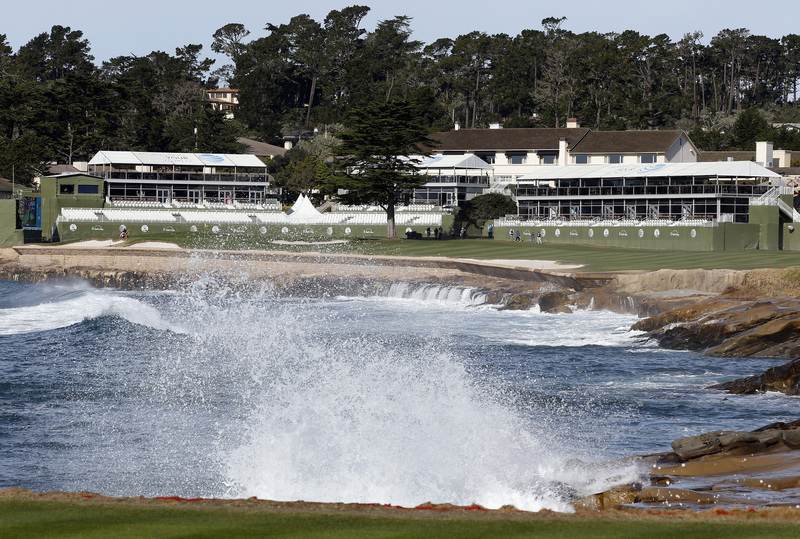 See the best that Pebble Beach has to offer: the famous second shot over an 80-foot cliff on No. 8, followed by pros letting it rip on the ninth tee of the 481-yard par-4. You can even turn around and catch players finishing No. 13 and teeing off No. 14. It won’t be confused with the raucous 16th hole at the Phoenix Open, but if you’re looking for a rowdy experience, head over to “Club 15.” The goal of these humorous fans who have turned the quietest corner of the course into a must-see attraction? To provide “professional support to amateur golfers.” The Club 15 fans are purposefully reserved when the pros tee off, only to rev it up for every amateur — famous or not. Be prepared for anything, from Andy Roddick crowd-surfing to an amused Bill Belichick trading his hat with a fan for one with a Club 15 logo. And yes, Bill Murray feels right at home here. Two of the most famous finishing holes in the world are also two of the prettiest. And when the tournament is on the line, this is where you want to be. 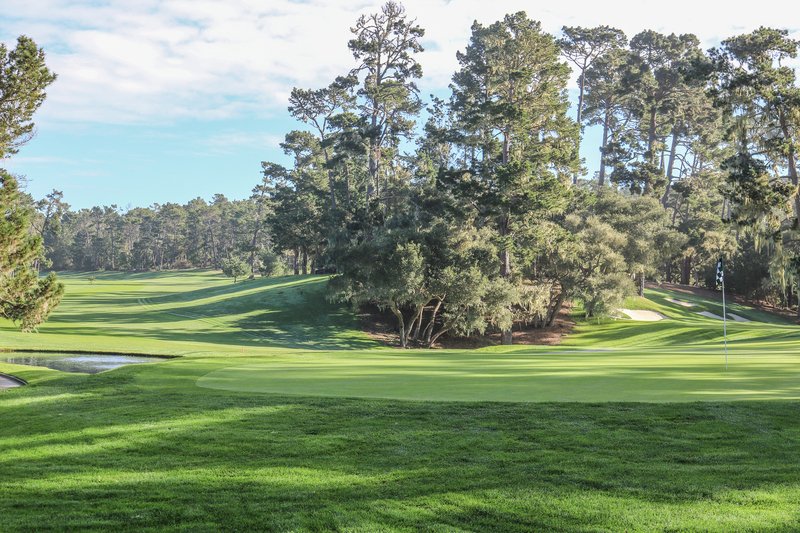 Enjoy play into the iconic 17th green, or watch players chase a closing birdie while fighting for the lead. Have a Mastercard? Be sure to swing by the first hole and make an appearance at Fairway One at The Lodge. Your Mastercard earns you admission to this exclusive hospitality event, which includes food, drink, massage chairs, a swing simulator and more! 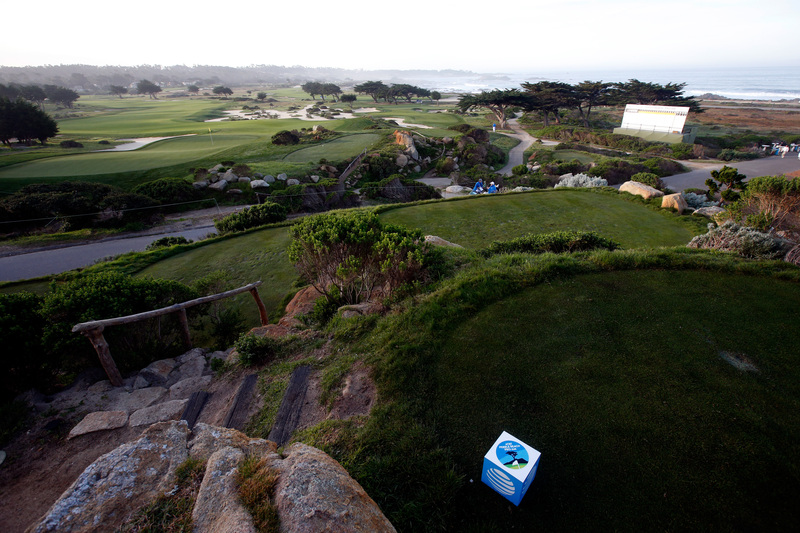 You wont find grandstands at Spyglass, but you can discover natural amphitheaters sprinkled around the course. 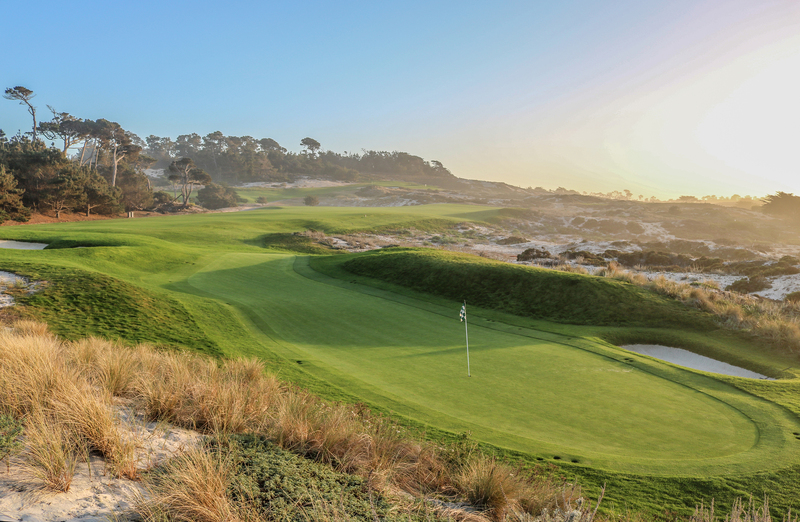 The most breathtaking vista at Spyglass Hill takes place on the third tee box, where you see the first five holes below you, plus Cypress Point to your left, and the Shore Course at MPCC to your right. 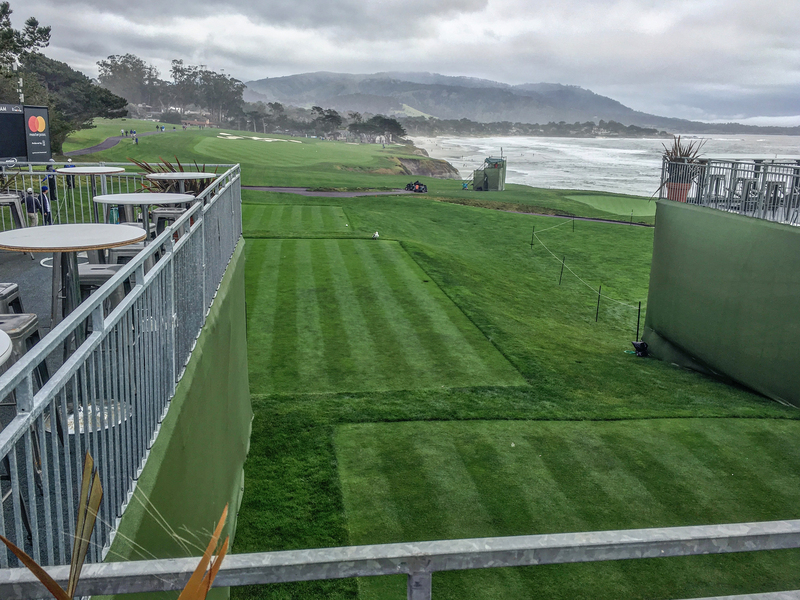 While the ropes don’t lead you all the way to the tee box, enjoy this incredible view while watching shots into the elevated second green, and downhill third hole. It’s one of the wildest greens on the PGA Tour, so it’s fun to see how the pros handle it. For maximum golf-watching efficiency, post up near the 12th tee box and take in a pair of par-3s and par-5s. Nos. 12 and 15 shoot off downhill approaches 90 degrees apart, while the greens of Nos. 11 and 14 back up into this cozy intersection of golf. 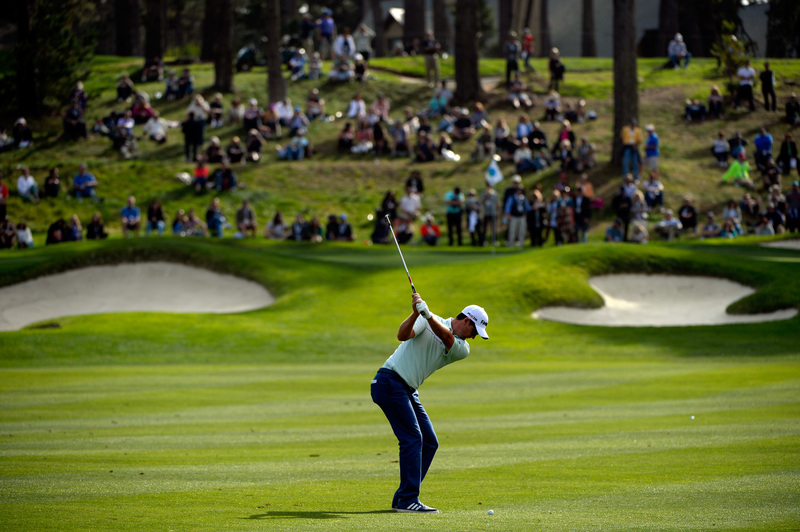 Scout out an hour’s worth of tee times you’re looking forward to watching, and let the action come to you. The ninth green also offers a cozy amphitheater to watch half the field finish up its round, but the best vantage point to enjoy a specific shot is behind No. 17. The pros all have wedges into this strongly pitched green, and you’ll see varying strategies to attack this shot. But be aware that you might be joined by a few Stevenson high school students (the campus is behind the 18th tee) following their favorite celebrity crushes. The shuttle to MPCC drops you off right in the middle of the action, in front of the stunning rock outcropping that doubles as the gorgeous 11th tee. The distinct architecture of holes spiraling around the pile of boulders is captivating, and the centerpiece of an 11-hole strand along the shoreline. 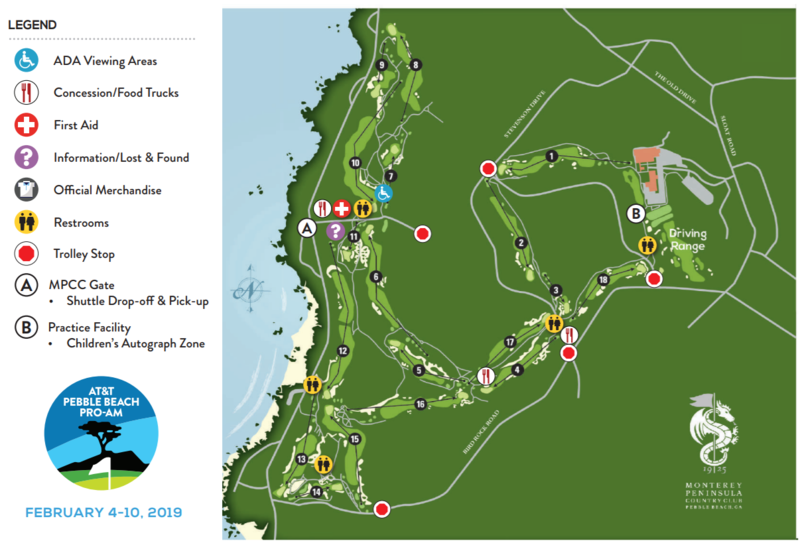 But since this visual vortex is also the drop-off for shuttles, consider escaping the crowds and wandering the course and toward the intersection of Nos. 12, 13, 15 and 16, or back toward the exciting drivable No. 5 and par-5 No. 6. Whichever way you walk, it’s a beautiful one. 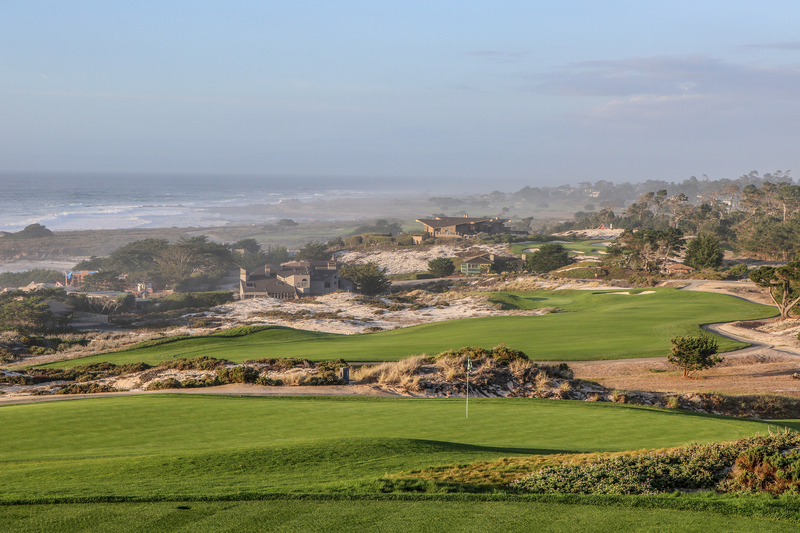 Just be aware that viewing is more restricted here than Pebble Beach and Spyglass, with some gallery ropes stopping short of greens. Where are your favorite spots to watch the AT&T? You might be asking, “Where’s Dustin Johnson?” He’s a victim of a small sample size, tied for 82nd at 296.8. Johnson only has eight rounds under his belt this season.